Google's flagship phone Pixel is all set to get a do-over with its upcoming successor pixel 2, rumored to feature the Qualcomm's Snapdragon 836 chipset. The gadget, released in late 2016, put its first impact with its astounding camera and Google assistant. Keeping our ears open, this time we will wait for the Pixel 2 but with the knowledge of its specifications. According to many third party news agencies, the phone will sport a 5 inch AMOLED capacitive touchscreen with a resolution of 1080 x 1920 pixels. Rumor has it, the phone might include an edge-to-edge display similar to LG G6. As for the protection, the screen will be guarded with the Corning Gorilla Glass 5. 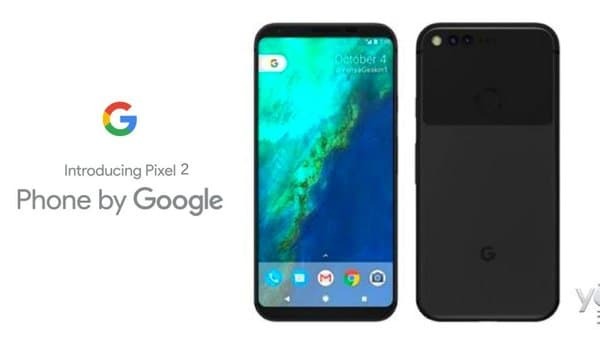 The Pixel 2 is also rumored to usher 12.3 MP sensor fixed to its back panel with dual-LED (dual tone) flash, EIS (gyro), phase detection & laser autofocus features. In the front, Pixel 2 will possibly sport an 8 MP sensor. Not confirmed, but it might also work on dual camera set up (probably available in the back) as reported in various sources. However, the main line of attraction connected to the newcomer is the Snapdragon's all new 836 SoC that will make its first official debut with Pixel 2. The last released phone had an 821 in its core and this time it will sport the latest technology if we ignore the fact that Samsung and LG are already working with 840 and 845 chipsets. Further, the Pixel 2 is rumored to duplicate Kryo 280 cores in an octa-core arrangement with 4x2.45 GHz & 4x1.9 GHz assortment. Additional specifications include Wi-Fi 802.11 a/b/g/n/ac, dual-band, Wi-Fi Direct, DLNA, hotspot with networking options such as Bluetooth 5.0, NFC, USB 3.0 with Type-C 1.0 reversible connector. Following Google's trademark, the phone will bear no extra storage dock for additional storage enhancement and will bear a nano-SIM slot. the squeeze functionality just like HTC U11. Now, the time will tell what matches and what not with the leaks.